The Czech high jumper Jaroslav Bába has announced his retirement, a week before his 34th birthday. Bába’s greatest success came with a bronze medal at the Olympic Games in Athens in 2004, when he was just 19. 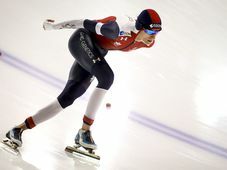 The athlete told Czech Television that he had reached the top at a very young age and that that fact was now telling on his body. Bába, who also came third at the 2004 World Athletics Championships, holds the Czech indoor and outdoor high jump records.